No longer considered just a second-choice option for home buyers who can’t afford a house, condominiums are giving the single-family home a run for its money as the primary preference for many new home buyers. Changing lifestyles of Americans are often cited as the reason there are many more home buyers than ever before choosing condominium units over houses. The U.S. Census Bureau saw a decline in the proportion of married-couple households with their own children from 40 percent of all households in 1970 to 23 percent in 2003. Demographics that are on the increase include single professionals, divorcees, partners without children and active retirees. Buyers who no longer need to factor in a yard or school district when they choose a home are not restricting themselves to traditional housing options. Also helping to increase growth in the condominium market is the collapse of the myth that they are inferior in construction, with thin walls and low-grade carpet. Today’s new condos often have gourmet kitchens with top-notch appliances and come standard with high-end materials such as cherry wood floors and cabinets and granite or marble counters and vanity tops. Another advance in condo development is the increased focus on sound-proofing units so a condo owner may be living in a building with hundreds of other people, but feel that they are in their own private, quiet oasis. Builders are combating noise issues by increasing the amount of drywall or using concrete or brick between units. Architects are helping reduce noise impact by designing buildings so that bedrooms in one unit do not share a wall with a higher-noise room such as a kitchen or laundry in the adjoining unit. Windows are also most often the way that noise travels in and out of rooms. To ease this frustration, builders may install double-paned windows with a high Sound Transmission Class (STC) rating which usually falls between 28 and 35 (single-paned windows have a STC rating of 20). Homeowners who enjoy the outdoors but don’t have the time or interest in maintaining a big yard find the perfect balance with green spaces on roofs and terraces of condominium buildings. Condo developments may also provide lifestyle-friendly features such as swimming pools and fitness centers and quick access to restaurants, stores and cultural events without the need for a car. Condo living is no longer just for big cities like New York and Los Angeles, either. The condo trend is growing all over the country, including secondary markets like St. Louis and Minneapolis. When you are making the decision to buy a new home, don’t count out a condominium. Your options will open up and you may find yourself enjoying this different way of life! 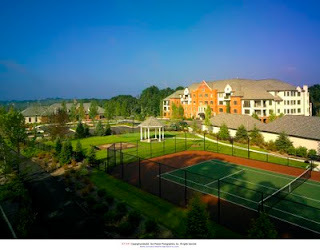 For more information on condominium developments in your area, contact your local home builders association at www.nahb.org/findanhba. 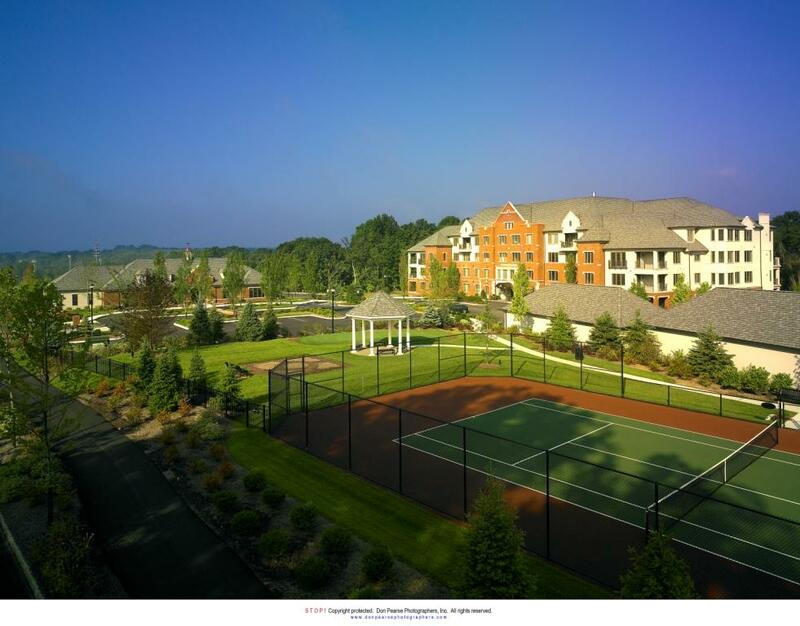 The 55+ lifestyle community of Athertyn at Haverford Reserve offers luxurious living with the feel of a private single-family residence and offers amenities such as a pool, tennis court, gardening, and fitness center. The surrounding park land offers hiking trails, a fenced-in dog park, and the Freedom Playground.